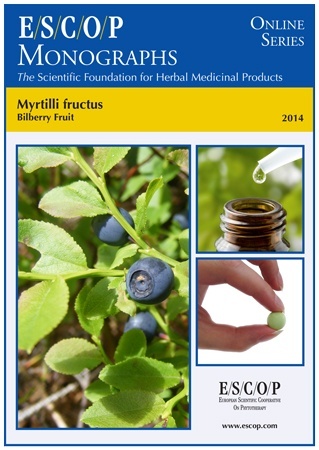 The herbal monograph selects and summarises extensive scientific studies and textbooks regarding efficacy, dosage and safety, relevant to the therapeutic uses of bilberry fruit. By definition the herbal drug is the dried ripe fruit of Vaccinium myrtillus L., it contains tannins, the fresh or frozen ripe fruit and the dry extract of fresh bilberry fruit contain mainly anthocyanins. Studies on the main characteristic constituents tannins, procyanidins, anthocyanins and catechins are included. The therapeutic indications are acute diarrhoea, varicose vein and venous problems. Administration of bilberry fruit addresses posology, method of administration, duration of use, potential interaction with other medicines, use in pregnancy & lactation. In vitro experiments indicate antioxidant, anti-angiogenic, anti-inflammatory, anti-aggregatory, antimicrobial and antiproliferative activities, as well as effects on wound healing. In vivo experiments with animals demonstrate antioxidant, athero-protective, anti-inflammatory, gastroprotective activities, with effects on vision, lipid metabolism and chemoprevention. 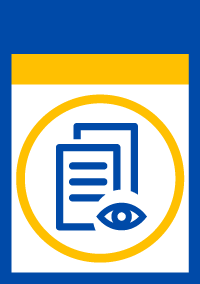 Pharmacological studies in humans showed anti-inflammatory and antithrombotic effects, while clinical studies showed improvements in symptoms of dry eye, venous insufficiency, metabolic syndrome and reduced inflammatory mediators. Pharmacokinetic studies in animals and humans are included and show that absorption and bioavailability of anthocyanins is low, with mean maximal plasma concentrations reached in ca.1.5 hours. Preclinical safety data for bilberry fruit extract showed no mutagenic or cytotoxic effects. Clinical safety assessment in humans confirmed the safety of bilberry extract, daily use for six months produced no toxic effects. The selection of literature cited in the monograph is aimed at bringing together relevant information about the possible physiological roles of bilberry fruit and its major constituents.